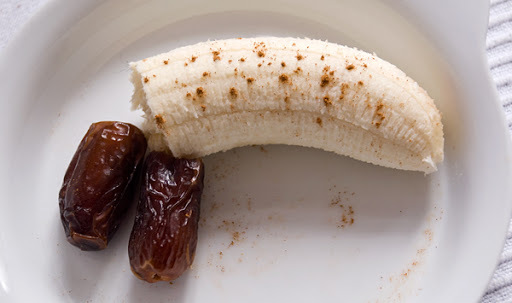 I've decided to eat more raw instead of having PBJ sandwiches all the time. 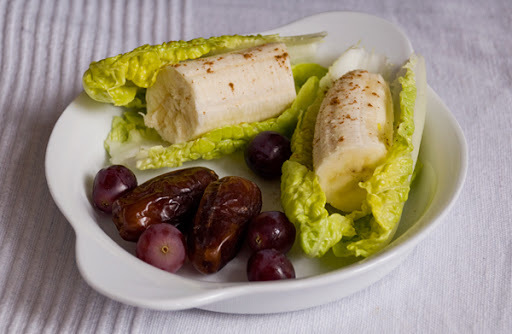 Banana sprinkled with cinnamon in romaine leafs along with dates & red grapes. 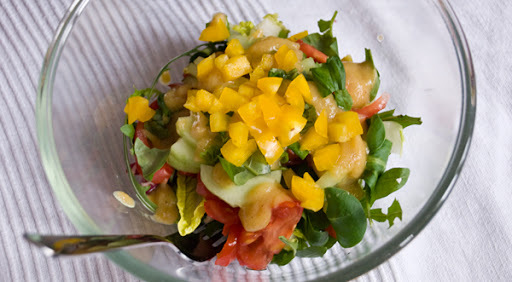 Mixed salad with tomatoes, cucumber, bell pepper and ABM-dressing. Breakfast this morning was half an orange and for lunch I made a salad which I couldn't even finish. 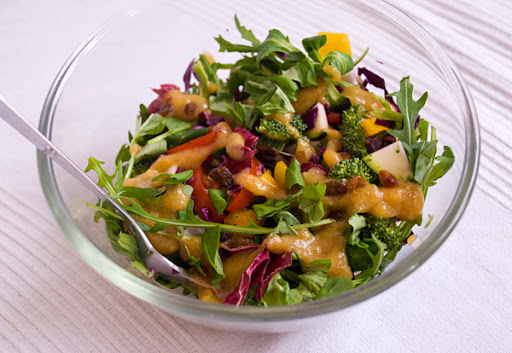 Mixed salad with yellow bell pepper, fennel, red cabbage, tomatoes, zucchini, broccoli, red grapes, ABM-dressing and raisins. I should try this too :D Everything looks delicious. 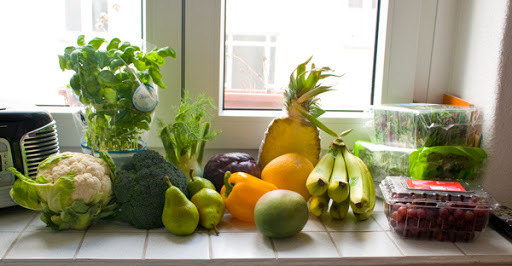 I really need to start eating more raw food! It looks so good. I think once summer comes it will be easier. Beautiful, as always! I must try your ABM dressing. Everything looks so fresh and yum. I like how you put the naners inside the lettuce leaves.